Optimal Hardware solutions that fulfill your IT needs. FSA takes great pride in staying on top of burgeoning Hardware trends and technologies. We work closely with commercial, non-profit, educational, and community-based clients to make the right Hardware decisions. While many companies are prepared to help clients purchase and install hardware components, FSA takes into account the “bigger picture – Optimization of current resources and acquisition of future hardware” to help you to get the most out of your equipment. Not every organization or business has the funding or capital to update all hardware on a yearly cycle; and FSA can help make the most of what resources are present and help plan for the future. In addition, we can help you utilize seemingly obsolete or obscure pieces of hardware and maintain or even replace many older “legacy” systems. 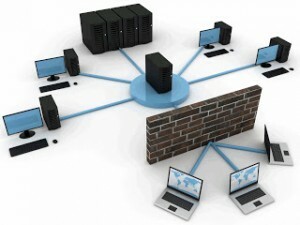 Data Backup, RAID, Software and hardware controlled solutions. Ex HD. FSA also provides disaster recovery services. We offer critical data recovery from unexpected hardware failures and help businesses either resume normal business operations or stabilize operations while a permanent solution is developed. Evaluate needed usage. Whether through automated scripts, software or individual assessment. Analyze existing solution. Define the most efficient and economical next progression and usage of resources. Define usage procedures, including custom creation policy guidelines tailored to each individual client or organization’s needs. Determine method of equipment acquisition. We also work with wonderful organizations such as TechSoup.org to procure Hardware donations for qualified organizations and groups at extremely reduced rates. Install and configure needed hardware on-site, or via our office, then delivered to your location. *Chicagoland area for deliveries of workstations and servers. Develop technical procedures material in compliance with company or external framework. Technical procedures clarification. Available in various flavors of Support Services, including On-site, Phone and E-mail based. Interoperability between software, hardware and database additions. Analysis and projection goals. Replacement and Repair. On-site and Remote Assistance available. Please contact us for a Customized Quote.